11 1/2 tons of white-coated, oven-baked, steel structure encapsulating 63, 8ft. 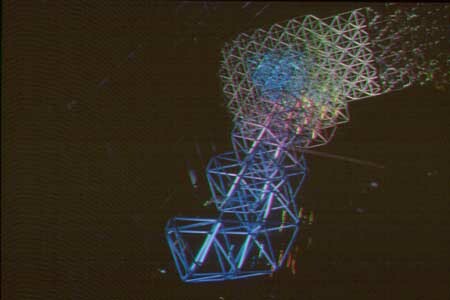 "neon" elements, each controlled by solid state, high voltage transformers, all within shatter-proof tubing. Sculpture suspends within an atrium space, from the building's roof.